JZ Environmental Consultants, Inc. took on the unprecedented role of environmental construction management for one of the largest transmission lines ever built. JZ worked with several agencies and companies in the building of a 220-mile transmission line linking Duluth, Minnesota to Wausau, Wisconsin. This project was paramount to ensuring the reliability of power for the families and businesses in this region. 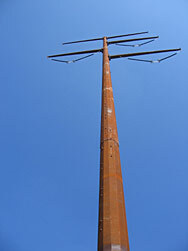 The nature and visibility of this huge project created an unprecedented need for balance amongst the many groups affected: impacted property owners and farmers; the state, which has a mandate to safeguard the environment; hundreds of construction workers trying to do their jobs; and the utility companies which have a critical need to keep up with the growing demands of their customers. 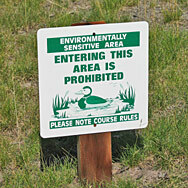 JZ Environmental Consultants, Inc. was responsible for mapping routes, conducting extensive surveys of endangered species, (both plant and animal), designating wetlands and other sensitive areas, training over 300 workers on environmental compliance, coordinating communications, and monitoring the entire 220-mile site. 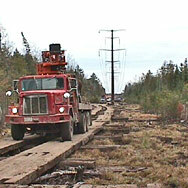 See "Protecting Northern Wisconsin" for more information on this project. 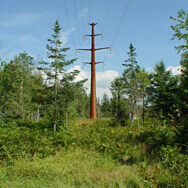 This transmission line was built directly through the Hiawatha National Forest, a very important Midwest landmark. No other project of this type had taken place in a national forest in the previous 40 years, so the implications of the work carried heavy political ramifications. The construction had to be carried out delicately and with extreme sensitivity. The permitting negotiations alone took over five years. 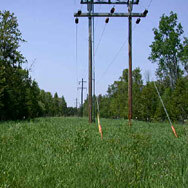 After the 138kV transmission line from Perkins to Manistique, Michigan was completed, JZ Environmental Consultants, Inc. was hired to develop the database system for monitoring and managing the noxious weed right-of-way locations. This project is a five year post monitoring invasive plant study. According to Robert Walker of the U.S. Forest Service in Rapid River, "We're happy the line is completed and energized and that its construction was in accordance with the EIS and mitigation measures. We're very pleased with the end result of this project." JZ Environmental Consultants, Inc. surveyed the right-of-way to verify presence of the endangered Calypso orchid. 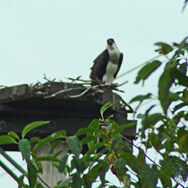 They carried out nesting surveys for ospreys: a State of Michigan designated threatened species. They also conducted the environmental monitoring, wetland delineation, and oversaw all aspects of the environmental construction as independent inspectors on the project. Described as dramatic, this new 18-hole golf course has received several highly acclaimed national awards from Golf Magazine, Golf Digest, and most recently, Travel + Leisure Golf and Golfweek, (which honored the layout as one of the best in Michigan). JZ Environmental Consultants, Inc. was instrumental in bringing balance between the wants of the golf course developers to bring a viable exciting new enterprise to the area and the needs of the community to guard its environmental resources. 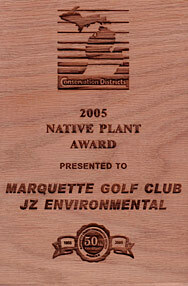 Thanks to JZ Environmental Consultants, Inc., both interests were well served. The City of Escanaba highlighted this site in Upper Peninsula Business Today as evidence that the city has a commitment to high quality wetland mitigation. The City of Escanaba in the Upper Peninsula of Michigan, due to its location and surrounding environment, now finds itself in a position of being unable to develop much further beyond its current footprint without facing wetland complications. JZ Environmental Consultants, Inc., working diligently with the city, developed, designed, and permitted a compensatory wetland allowing them to build an important new boat launch for this area. JZ Environmental Consultants, Inc. is still under contract to monitor the site. As of this date two years after completion, it is performing at optimum levels. 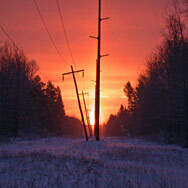 Occasionally, due to an emergency situation, a utility crew has to move into an area and make repairs quickly. Thousands of people can be negatively impacted by outages and critical choices have to be made that affect the environment in a geographically limited, though significant way. 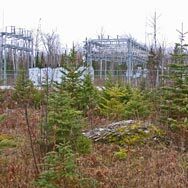 This site was impacted due to just such an emergency when an electrical transmission substation failed. JZ Environmental Consultants, Inc. managed the riparian restoration north and south of Green Creek, including the implementation of erosion control, soil stabilization, and native plant re-establishment. Their quick response reduced the potential sedimentation issue and diminished the impact to nearly zero. 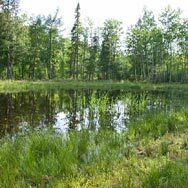 JZ Environmental Consultants, Inc. was hired to do stream bank restoration work by the Central Lake Superior Land Conservancy on Reany Creek, an area with several environmental problems. These included stream bank scour erosion from the nozzle effect of a culvert and native plants being overtaken and pushed out by invasive plants. 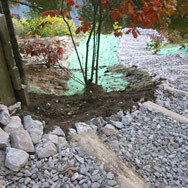 JZ Environmental Consultants, Inc. used an innovative technique to stabilize the banks and eliminate erosion problems in the area. This method included the use of rootwads, medium boulders, and footer logs/timbers to anchor the scour curve below the high water mark.